Rhonda Smith is the county coordinator. Tazewell, Bland, Wythe and Grayson Counties. The county was named for General Alexander Smyth, who had represented the area in Congress. Francis Marion, the "Swamp Fox" of the Revolutionary War. Smyth is spanned by the "Great Rock Road"
Smyth County on their way to Kentucky, Tennessee and on westward. 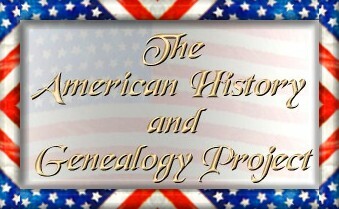 All materials contained on these pages are furnished for the free use of those engaged in researching their family origins. Any commercial use, without the consent of the host/author of these pages is prohibited. All images used on these pages were obtained from sources permitting free distribution, or generated by the author, and are subject to the same restrictions/permissions. All persons contributing material for posting on these pages do so in recognition of their free, non-commercial distribution, and further, are responsible to assure that no copyright is violated by their submission.